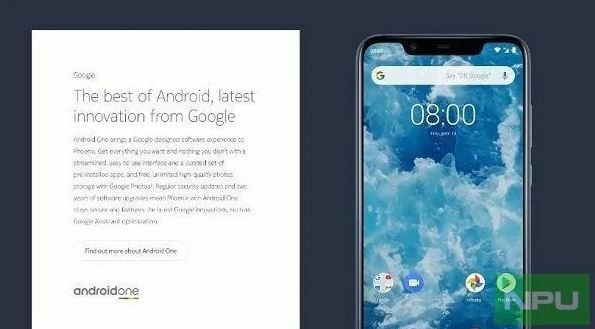 Nokia 8.1 Android One smartphone has launched in India. 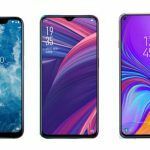 HMD Global has been releasing the device in quite a few international markets, at slightly varying price points. Now the Indian variant is officially available for pre-orders, with direct sales commencing on December 20. 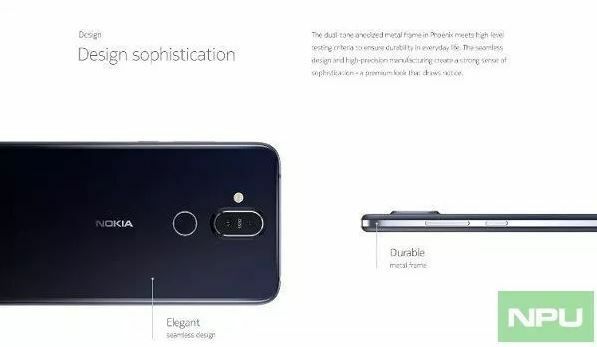 HMD Global’s Nokia 8.1 Android smartphone identifies as the Nokia X7 in China. In all other markets, the device sells as Nokia 8.1. 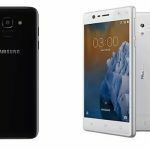 The incremental upgrade to the popular Nokia 8 handset features PureView Display, Snapdragon 710 chipset, dual rear camera with Zeiss optics, and other notable features. 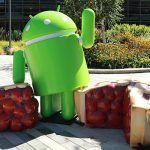 The device comes under the Android One program which gets security and OS updates for a long time. 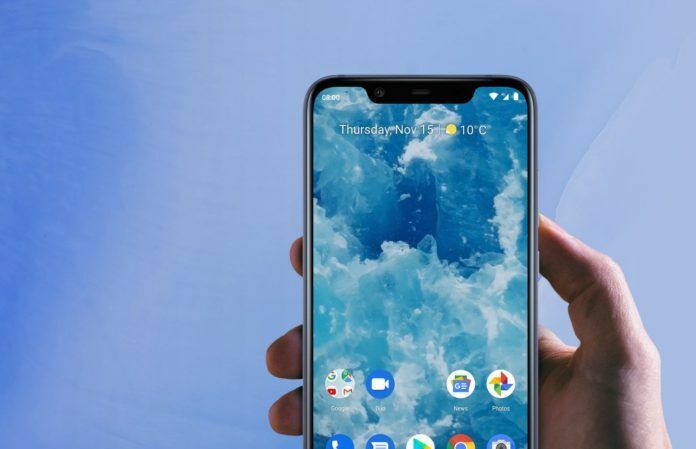 The Nokia 8.1 Android One smartphone comes in a single storage variant with 4GB of RAM and 64GB of onboard memory. However, buyers get a choice between three different dual-tone color variants: Blue/Silver, Steel/Copper, and Iron/Steel. The latest Nokia smartphone is available for pre-orders on the official Indian Nokia Online Store. The device is listed at a retail price of INR 26,999. Strangely, Nokia’s own store is currently offering only two color options: Blue/Silver, and Iron. But buyers do get quite a few attractive offers. Nokia is offering 1TB data on eligible plans starting from INR 199, for prepaid subscribers. 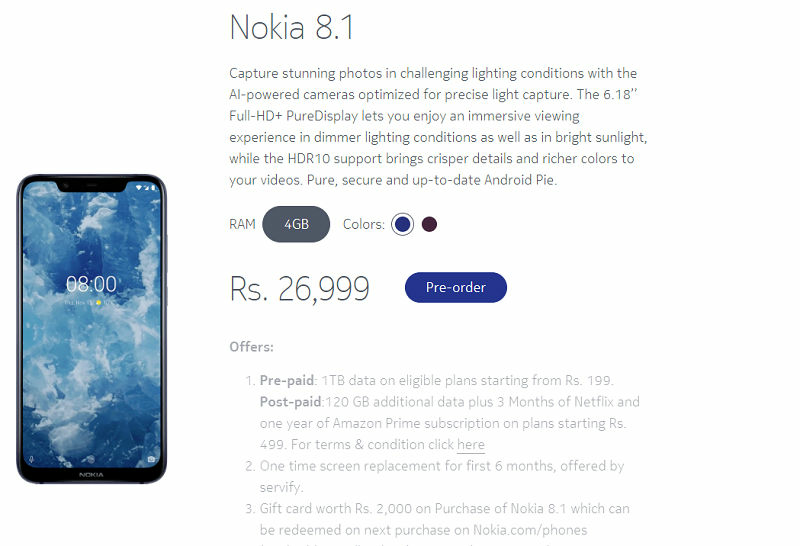 In case buyers opt for a postpaid connection, Nokia is offering 120GB additional data plus 3 Months of Netflix, and one year of Amazon Prime subscription on plans starting at INR 499. To assure buyers about the purchase, Nokia is also throwing in one time screen replacement for first 6 months, in association with servify. If that’s not enough, buyers also get a gift card worth INR 2,000 that they can redeem on their next purchase on Nokia Online Store. 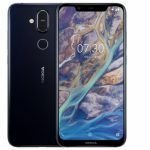 The Nokia 8.1 Android One smartphone is available for pre-booking. Nokia hasn’t confirmed when the device will start shipping to customers who have placed an order. However, the device will be available to purchase on December 20. HMD Global has partnered with Amazon India for the sale of Nokia 8.1. 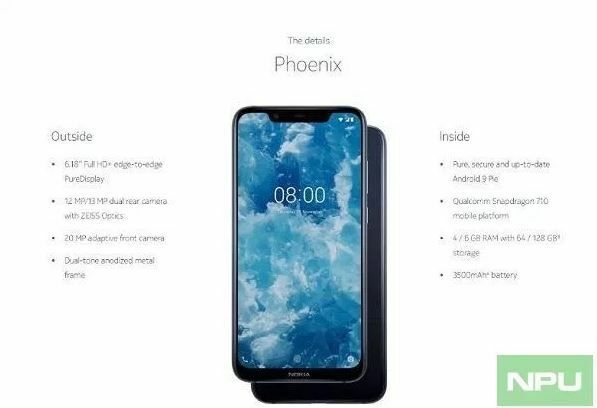 The Nokia 8.1 features a 6.18-inch IPS LCD display with an aspect ratio of 18.7:9 and a resolution of 1080×2244 pixels. 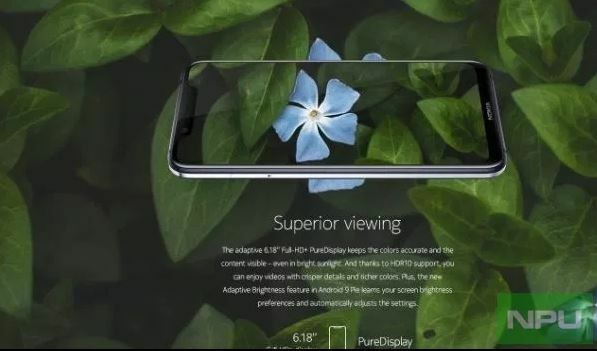 The display is HDR10 certified, has 500 nits peak brightness, and is capable of a 96 percent color gamut. An octa-core Qualcomm Snapdragon 710 chipset paired with 4GB of RAM and 64GB of internal storage, powers the Nokia 8.1. Buyers can expand the memory up to 400GB via a microSD card. The Snapdragon 710 reportedly offers 35 percent boost in graphics performance, and a 20 percent jump in the overall performance when compared with Snapdragon 660. 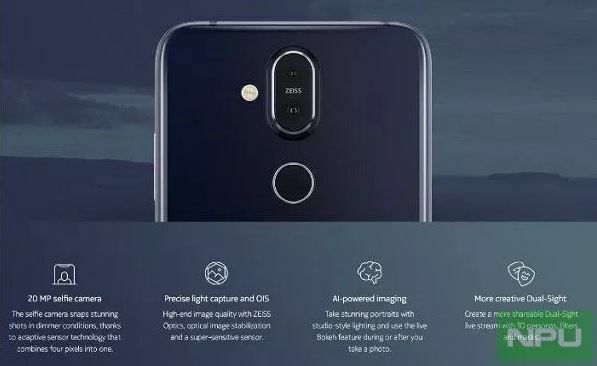 Nokia 8.1 has a dual camera setup at the back with Zeiss optics. There is a primary 12MP sensor having 1.4-micron pixels, and both OIS as well as EIS. For depth sensing, there is a 13MP secondary camera. The front has a single 20MP selfie shooter with 4-in-1 pixel tech for better low-light photography. A 3,500mAh battery powers the Nokia 8.1. It supports 18W Fast Charging. The Nokia 8.1 is the company’s first smartphone to come with Android 9.0 Pie out-of-the-box. 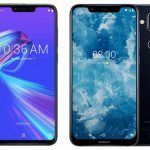 A rear-mounted fingerprint scanner, 2 mics, Nokia Ozo surrounds capture, Bluetooth v5.0, 3.5mm headphone jack, USB Type-C port, and a Google ARCore, support sum up the highlights of the Nokia 8.1.